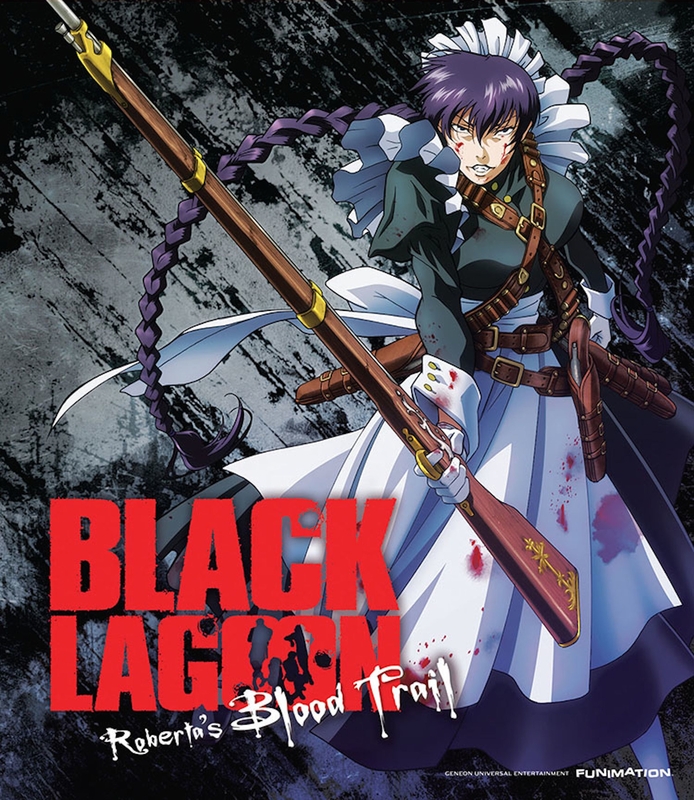 Black Lagoon: Roberta’s Blood Trail is a five episode OVA that occurs after the events of the second season, read my review for season two here. The OVA series began airing in June of 2010 and concluded in June the following year. The story shows the return of Roberta; the ex-terrorist turned housemaid. After the death of the head of the Lovelace family by of car bomb, Roberta swears an oath of vengeance upon his murders. The young Lovelace master takes it upon himself to track down Roberta and save her before her murderous rage becomes too big to return from. Garcia Lovelace will travel to Roanapur one again to seek out the aid of Rock of the Black Lagoon company. Rock will need to be smart about his actions if he is to avoid an all-out war that will wipe Roanapur of the map. My Review: This is a very unique OVA, with each episode being half an hour long, the episodes almost seem to be a third season. The first few episodes are rather boring, being mostly political build up and background. Things start to pick up around episode three and especially after we get introduced to the American Militants, there is a gradual build-up of action which all lead onto final full-on battle. In particular, I really liked one of the end scenes where you see a shot of Roberta missing several body parts as a result of her conquest. This OVA does an excellent job of wrapping up the Black Lagoon series, It really feels like an amalgamation of all the factors that make the first two series great.